Free on-line help with your homework! On May 2, 2016 Tutor.com will be launching an exciting new feature for your service! Our new Algebra Drop Off Review service will allow students from 8th grade through college to submit their Algebra I and II questions to our expert tutors and get a detailed explanations of the step-by-step solution within 24 hours. NEW!! AtoZ Maps Online With your library card you will have to access to approximately 145,000 maps at your fingertips. This combination of proprietary maps and maps from other reputable sources gives you a “one-stop shop” for content that can be downloaded and used without any copyright restrictions. AtoZ Maps Online is a great resource for local students, teachers, genealogy researchers, hikers, hobbyists, and more. NEW!! AtoZ World Travel With your library card you will have access to 202 city travel guides, featuring in-depth information on attractions, neighborhoods, excursions, dining tips, language, insider tips, transportation, and much more! AtoZ World Travel functions as a “web-based” app on your smartphone or tablet, meaning you can access this resource on any device at Wi-Fi hotspots around the world. Need help starting your research paper? Not sure what topic to pick? Check out Newsbank’s Hot Topics. With your library card you will have access to the latest information on current events. Newsbank’s Special Reports provides you with updated news and events, articles, background data, images cleared of copyright that you are welcome to use in your research, maps, and any additional websites. Heritage Quest. Genealogical research website. Use your library card number to log-in. Ancestry® Library Edition, distributed exclusively by ProQuest and powered by Ancestry.com, delivers billions of records in census data, vital records, directories, photos, and more from countries all over the world. See more though this video link. Ancestry® Library Edition can only be accessed at the Mansfield Public Library Internet area. 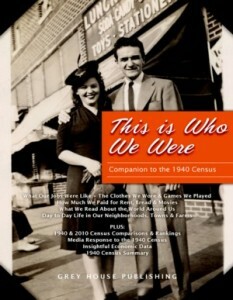 This is Who We Were Series provides the reader with a deeper understanding of what life was like in America throughout various time periods and how it compares statistically to life today. Using both original material from the Census, readers will find richly illustrated Personal Profiles, Economic Data, and Current Events to give meaning and depth to what life was like. Reserve, renew or search for books. Novelist Plus is a database that provides subject heading access, reviews, annotations, and much more for over 125,000 titles. It also includes other content of interest to readers, such as Author Read-alikes, What We’re Reading, Book Discussion Guides, BookTalks, and Annotated Book Lists. Kent District Library’s What’s Next™ : Books in Series database helps you search series fiction. OneClickDigital is a Recorded Books website for downloadable audio books. Mansfield patrons have to create an account at http:/mansfieldma.rbdigital.com in order to start borrowing downloadable books. Freegal®Music is a free music service from your library. All you need is your library card number and some libraries utilize a PIN. Freegal offers access to about 7 million songs, including Sony Music’s catalog of legendary artists. In total the collection is comprised of music from over 28,000 labels with music that originates in over 80 countries. There is no software to download, and there are no digital rights management (DRM) restrictions. Access to Freegal is limited to patrons of subscribing libraries. Check out our new eMagazine service- Flipster! Download the Flipster app to your device to read your magazines anytime, anywhere! You will need your library card number to log in. *Disclaimer The Boston Globe online is available through ProQuest, which is databases that allows you to search and full text newspaper articles. It is NOT scanned copies or microfilm of the actual newspaper. America’s News Magazines. With your library card number you can get access to the print portion of the articles to 27 magazine publications from Air and Space to Newsweek to Working Mother. Free on-line help with your homework. TumbleBookLibrary is an online collection of TumbleBooks , animated, talking picture books which teach kids the joy of reading in a format they’ll love. TumbleBooks are created by taking existing picture books, adding animation, sound, music and narration to produce an electronic picture book which you can read, or have read to you. www.princieswiff.blogspot.com and we will meet. NoveList Plus K-8 is a data base that provides Reviews, Recommended Reading Lists for each grade, Genre searches, Award Winners, Common Core, Author Read-alikes, What We’re Reading, Book Discussion Guides, BookTalks, and Annotated Book Lists and much more for over 125,000 titles. Career Transitions , an online job and career databases to aid in job searching, resume building, interview help, career paths and schools. Testing and Education Reference Center , an online test preparation tool that covers high school, college (including a scholarship search), careers, graduate school and international test prep. – check out the Recommended Supplemental Reading List. For additional job search resources, please visit the Job Seeker Resources page on our website. Use your Mansfield Library Card number to access this service from anywhere.